1. Be humble. Don’t let fame and success get into you. 2. Earn your respect, not demand for it. 3. Learn something every day. Knowledge is power. 4. Take chances. If you don’t try, you never know what lies ahead of you. 5. Stand up for yourself and for the weak. 6. Never use your words as a weapon. 7. Respect a woman and never act aggressively towards them. 8. Stay optimistic at all times. 9. Always be faithful and honest. 10. Put others before yourself. Think about others’ feelings too. 11. Celebrate with grace and lose with dignity. 12. Determination is a value and it should start from young. 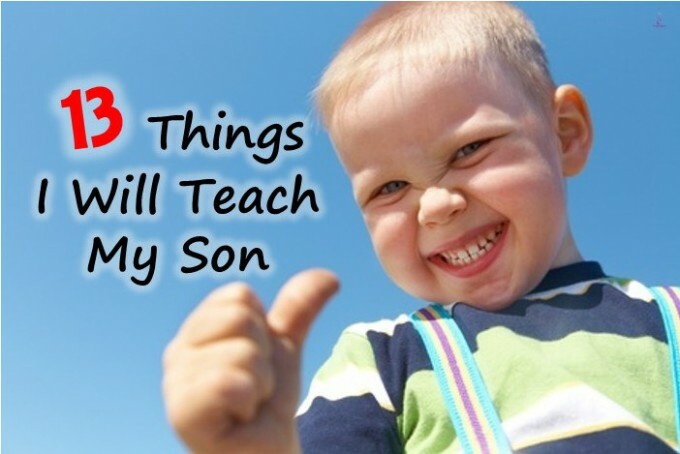 Is there other things you will inculcate in your boys? Share your views with us by commenting below.